The Breath is guitarist Stuart McCallum and singer Ríoghnach (pron. Ray-nuh) Connolly. Based in Manchester their unique take on alt-folk journeys from lush, beguiling storytelling to uplifting, punch-the-air anthems. At its heart is Rioghnach’ s deeply soulful, utterly engaging, stop-you-in-your-tracks voice, set alongside Stuart’s understated brilliance and their exquisitely crafted, personal songs. The duo share a remarkable connection on stage which make The Breath’s live performances utterly compelling. For the Breath, it’s all about the song. Connolly writes the only way she knows how; a stream of poetic consciousness giving rise to honest, personal, heartfelt songs as likely to touch on childhood summers and first love as cultural dislocation, post-colonial injustices and grief. But it’s her deeply soulful, utterly engaging, stop-you-in-your-tracks voice – whether delicate and hushed or powerful and gutsy - coupled with Stuart's understated brilliance and their exquisitely crafted songs, that give The Breath such emotional depth. Anglo-Polish Alice’s rich musical background and “whimsical hyper-creativity” (MOJO Magazine) converge into artistry which draws upon her early exposure to New Orleans jazz and gospel with the legendary Lillian Boutté who took a teenage Alice under her wing, an extensive classical training as a violinist, and a continuous exploration of improvisation, poetry, and folk music from diverse traditions, “all propelled in a voice of velvet suppleness and gutsy emotional power” (The Arts Desk). She performs extensively as both a soloist and as a collaborator, with headline performances at major international venues and festivals. 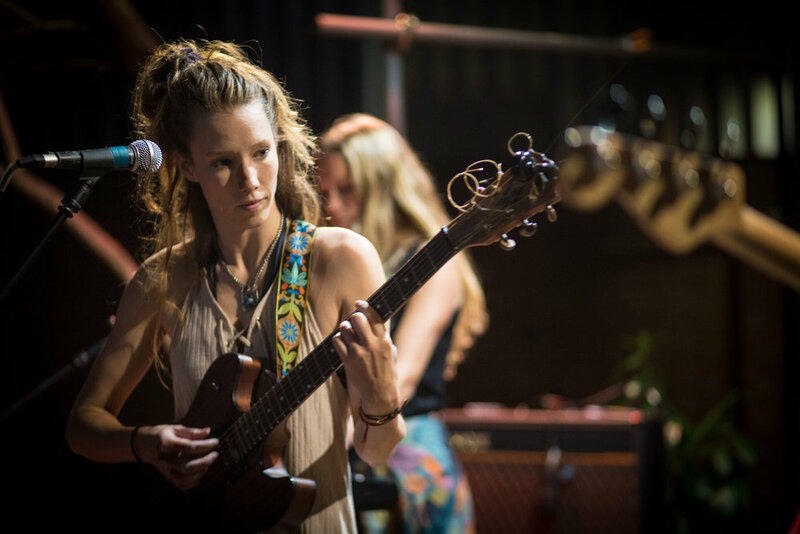 She also performs and collaborates at underground venues in the London scene and on unexpected platforms, with a keenness to nourish music at its roots, and to support inclusive community-wide music making. Her striking ability to perform across and transcend genres whilst retaining her own expressive and intelligent musical style gives her a unique accessibility, and her distinctive voice can be heard on numerous film and television scores. She also performs live as soloist with Prague Philharmonic, Kansai Philharmonic, Osaka Symphony, Tokyo Philharmonic, Moscow City Symphony Orchestra, and the St Petersburg State Symphony Orchestra. It's a community of music-lovers joining to celebrate the warm months in a carefree and supportive atmosphere, with a compelling live soundtrack.